Math is not always something fun to practice. Always doing the same things over and over is not really fun. I love to change things up as the season changes! 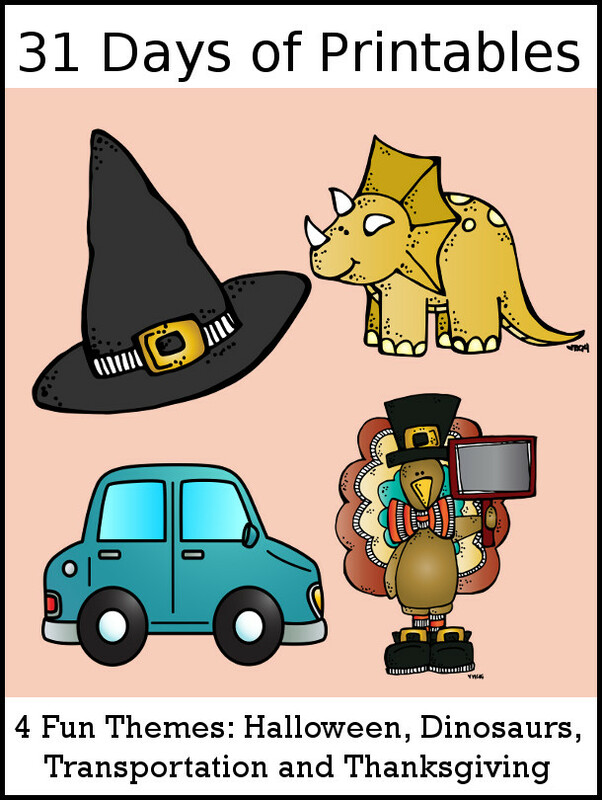 We are always doing some seasonal activity. 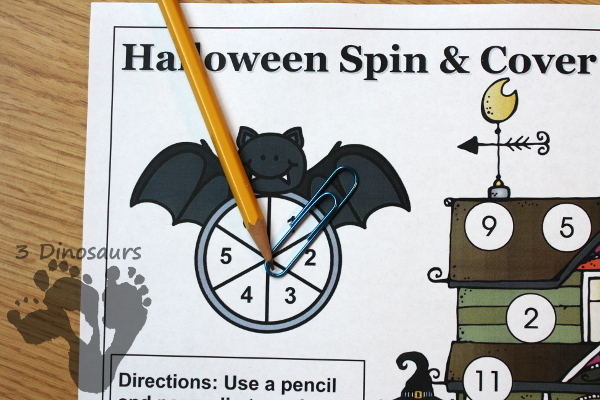 This is one of the 31 days of free printables is a Halloween Themed Spin & Cover. 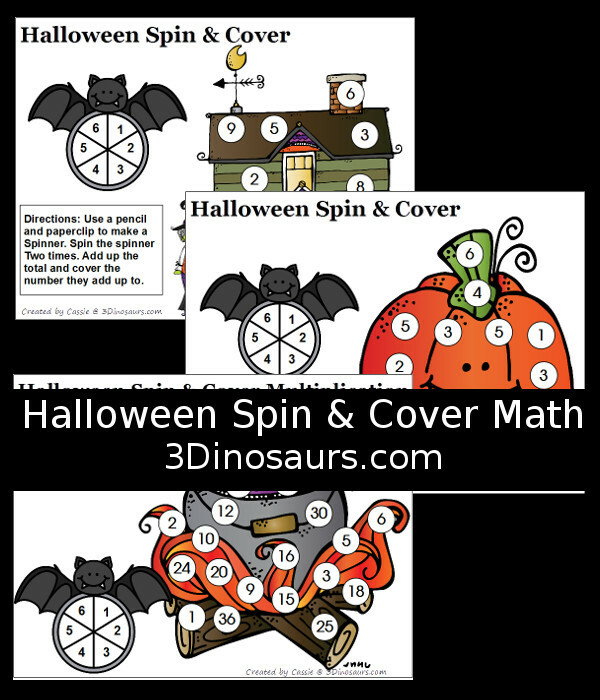 It is a math activity that kids can have fun with. Plus it has a few different levels. It is also something you can print and use very easy. I like to have things I can just print and use. 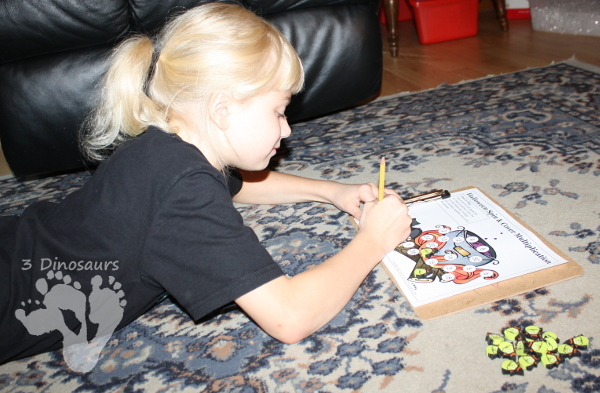 These are a fun No-Prep printable with a Halloween theme that kids can use. 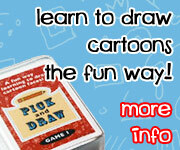 It has counting from 1 to 6, addition up to 12 and multiplication 1 to 6. 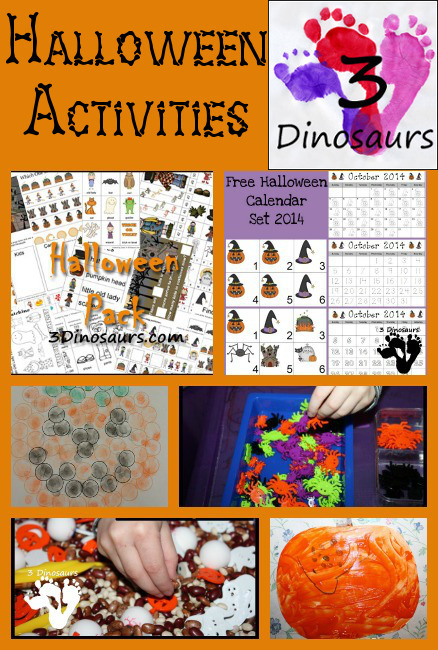 This allows multiple ages to use this set of printables. I like when all my girls can work on an activity. Each of the pages has a spinner on them. This means no dice to find. You just need a pencil and paper clips . We have used many things over the years to cover the dot. 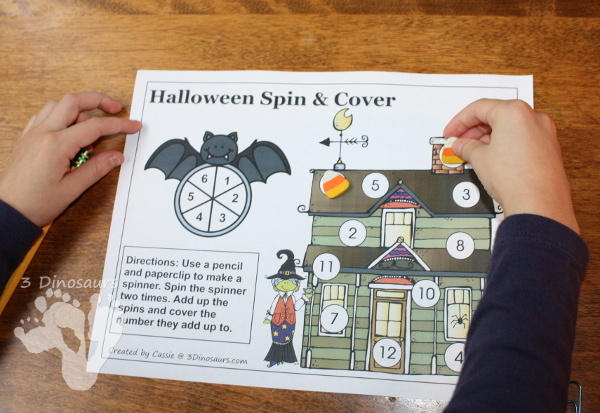 We have used dot markers and transparent counting chips , but during Halloween I love to use the mini Halloween erasers! We have collected several over the years. My middle loves to lay on her tummy while doing these. I put the paper on a clipboard for her. She will also stack the erasers if she gets the same number more than once. 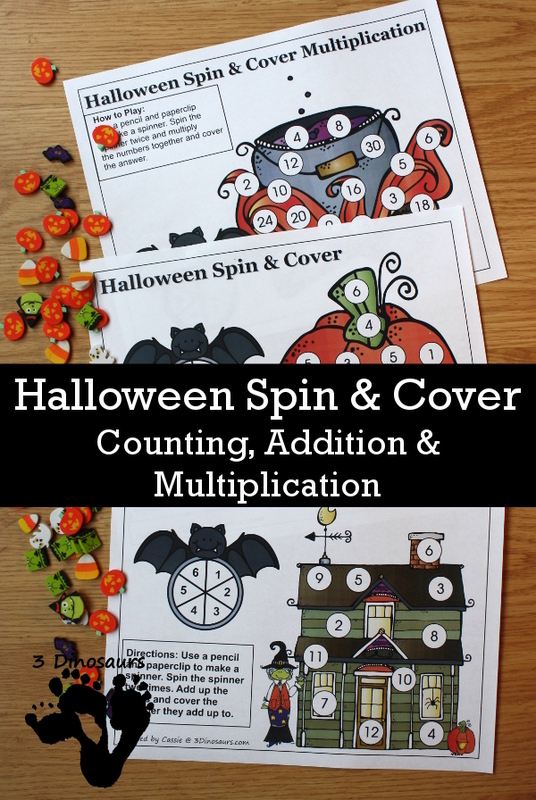 This entry was posted in holiday, math and tagged addition, counting, free, halloween, multiplication, printables. Bookmark the permalink.